The fam and I took a little field trip to Hollyweird over the weekend to see all the people doing their thing in the streets. The streets were packed with onlookers and all the performers were out. We saw Michael Jackson running around the streets doing his thing. 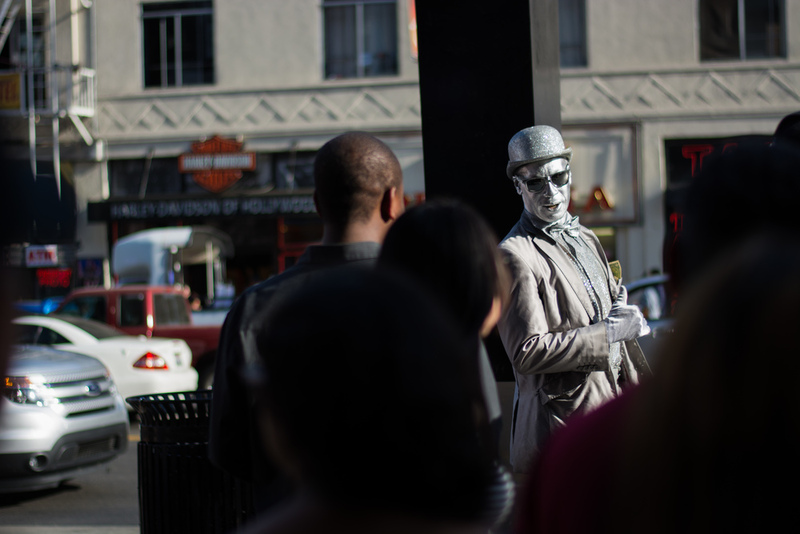 The street performers in Hollywood were on their game. This robot had a ton of attention from the crowd and put on a great show. Every time that I have gone out to Hollywood for a field trip, I tend to be interested in taking photos of the people more. I still get the architecture, but the people is where I get drawn in. The performers are working hard for that dollar. The people stand out. One day I will go out there and actually take pics of the stars on the ground, but the people on the streets grab my attention every time.